– an audience more familiar with staring at their phones – by partnering with a relevant fashion and lifestyle brand. A key partnership objective was to dispel preconceptions that the franchise is only for older audience who’d grown up with the West End show, and spent their youth listening to ABBA. Lily James and Jeremy Irvine, alongside the film’s fun, romantic and summer themes. New Look promoted the campaign across their 600+ stores with window vinyls, digital screens and in-store POS along with comms through their significant digital and social platforms. They also had a prominent presence at both the Global Premiere in London and Universal’s experiential film takeover of Victoria Station. New Look influencer and TV personality/presenter Rochelle Humes was granted access to the Press Junket to interview key cast members. The resulting content was seeded through the brand’s digital channels, with New Look’s other influencers attending the World Premiere, posting content to their followers and reaching whole new audiences. 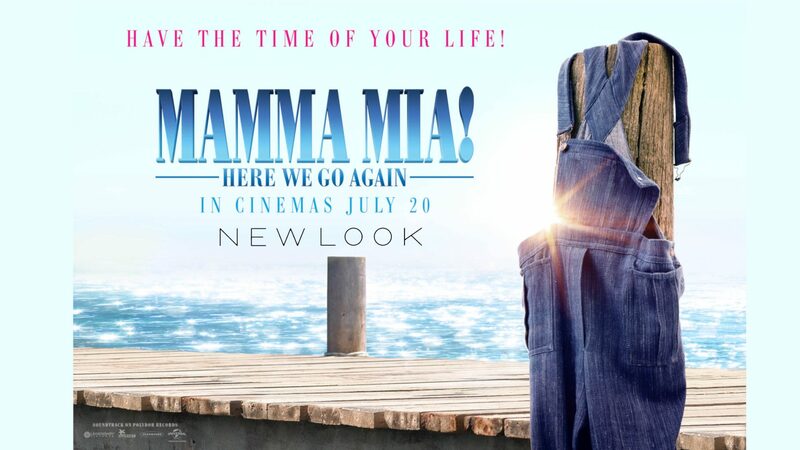 The film went on to become Universal’s 2nd largest release of all time, while for New Look the partnership drove traffic into their stores and increased online engagement. New Look were able to create content that tapped into zeitgeist moments including Love Island to drive social buzz, delivering some of their most successful results to date.